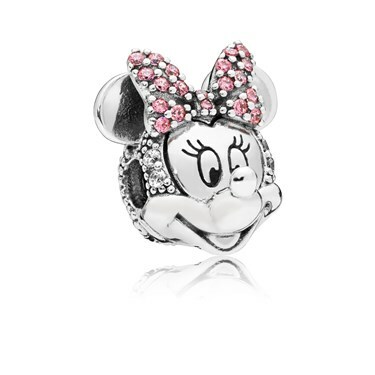 Bring the delightful Minnie Mouse to life with this dazzling charm! Crafted with sterling silver, this wonderfully detailed charm captures the iconic Minnie Mouse. Crystal details have been added for a more magical finish, including pink crystals for her bow!